Who doesn't need a fridge magnet?? 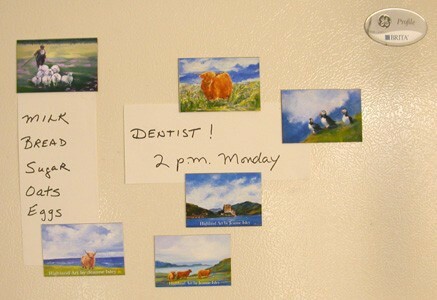 Fridge magnets always come in handy. They make popular stocking stuffers at Christmas, are good as 'Thank You' gifts, and as mementos of Bonny Scotland. 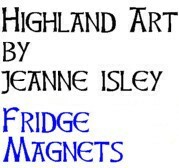 The Highland cow and sheep magnets are especially liked by children. Any picture you see on my website is available as a fridge magnet. When ordering, pictures may be mixed and matched. Contact me at jeanneisley5@gmail.com to order.